In the lounge with Orla Kiely. Roll back time to September last year, I was struggling with shock and disbelief at the news that Orla Kiely, the much loved fashion label I’d spent my most of my twenties designing for, had gone into administration. Sadness ensued as I remembered back to the hard work of a small team of dedicated staff and designers - the amazing projects we’d collaborated on and the steep learning curve I’d undertaken as a young designer not long out of college. I’d always imagined the iconic Orla Kiely brand being around forever - I’d even hoped that once my children were older I may have gone back............ I can’t deny it didn’t rock my thoughts (and work) for a while, not to mention my worry for the current employees losing their jobs in such an unstable climate. Iconic Irish print designer Orla Kiely has partnered with Barker and Stonehouse for the exclusive launch of her first ever upholstered furniture collection. Showcasing her signature style and playful patterns, the upholstered furniture range is a retro-inspired take on contemporary design. I hear there are plans in the pipeline for more interiors from Orla and with her website restocked with bags and accessories I think it’s safe to say the Queen of Prints is back! PS I don’t write blog posts often, but that’s because I want the content to be interesting and not just about selling knitwear. I hope you’ll stick around despite the lengthy gaps in between! With the bright, but chilly Autumn weather upon us and with only 64 days to go until the big day itself I thought I’d let you know where you can find me for the rest of the winter season. October, November and December are really busy months for me and I will be popping up at some brilliant events. So, if you’re local, please do come along and say hello! The Hampshire Pop-up-studios Christmas Event coinciding with the Stockbridge Xmas Lights switch on. 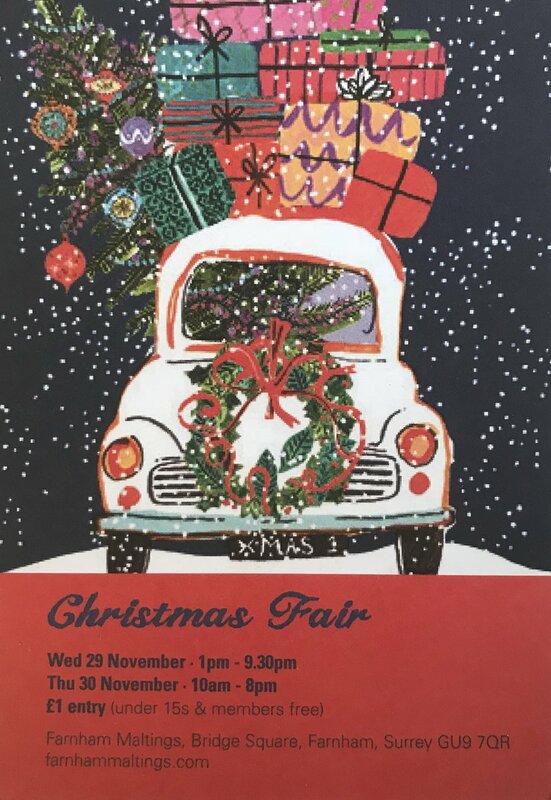 When: Friday and Saturday 7th/8th December 10-4pm. Can’t make it to an event? All Kate Box Knit designs are available online –SHOP THE RANGE. Before the autumn/winter season is in full swing and I enter my busiest period of the year, I thought it would be fun to let you know a little more about me. 1. Everywhere I go, I’m inspired by colour. I’m always on the look out for interesting colour combinations, and they pop up everywhere. I’m keen on the colours in ceramics, most recently the work of Janice Tchalenko and her work in the 1980’s. It doesn’t always mean that the colours are translated directly, but I just may be inspired by a bold use of colour and then be motivated to be courageous within my own work. 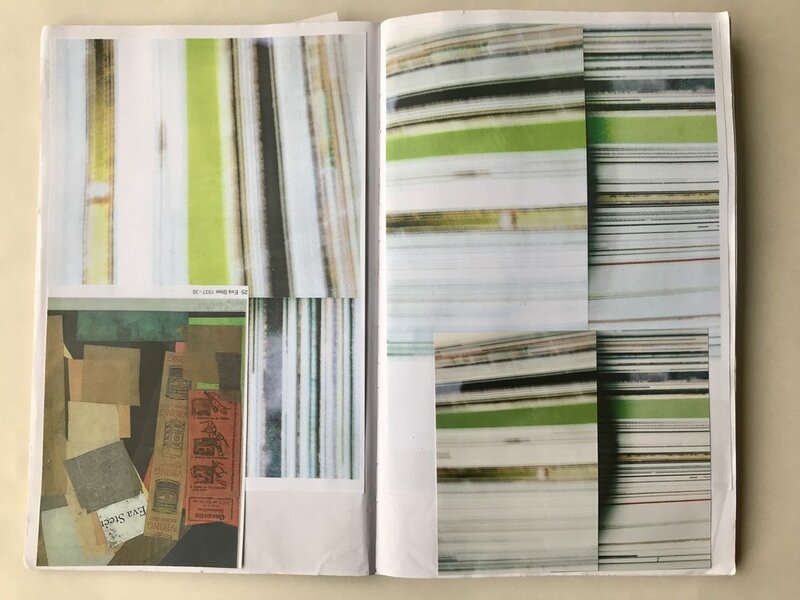 During my MA I used to take endless photos of the page edges of magazines and books as it created the most unexpected stripes which were great to work from – in fact I may start doing that again! Old college work reflecting the stripes found on magazine pages. 2. I work to three core colourways. I had a great training having worked with Orla Kiely from very early on in my career. With Orla, we always worked to three colourways and tried to incorporate each type of customer personality into one of those three colour choices. I try and do that within my own collection too. I frequently end up with too many colourways choices and then it’s hard to whittle them down. At times like this, I have been known to grab a bunch of wristwarmers and carry out some market research by asking friends which colourways they prefer! 3. In my ‘off-season’ I love to be active. Most of the year I am stockpiling for the busiest time of year which is in the run up to Christmas. But when I’m not knitting, I love to do sport. Having been an incredibly unsporty child, always preferring art and craft to PE and games, I feel like I’m making up for lost time! The main thing I love to do is run, in particular trail running around the beautiful countryside we have in the South Downs National Park. More recently I have tried mountain biking and yoga and have really loved them too – not sure I have enough time to fit any more interests in though! 4. The colder seasons are all about layers. My absolute favourite thing about autumn and winter is layering. It creates so many amazing opportunities when putting together outfits, and the colour combinations can be rich and interesting with pops of brighter colour. 5. Simple, lazy Sundays are my favourite. I’m always teased about my favourite way to spend a Sunday because it would most definitely involve the log burner being lit, a bottle of wine, a bar of dark chocolate and a period drama on the TV. It’s frequently suggested that I’m old before my time! 6. Country girl or city girl? I think this question reflects my personality quite well - I like a bit of both. I love a day or two in the city, and come back absolutely buzzing, but I like the tranquility and emptiness of the countryside too. 7. If I didn’t run Kate Box Knit, I would…? Tough one! I’d either like to be a ranger looking after the South Downs National Park, or a fine art painting restorer. I love doing painstaking intricate work and I think witnessing a painting come back to its former glory must be very satisfying indeed. I’m delighted to share that my website is now fully stocked for autumn and winter! From cosy wristwarmers and snuggly neckwarmers, to soft loop scarves and baby blankets – wrap up in style this season and beat the cold.Hand-made by me on my 1970’s Brother domestic knitting machine, my designs are made from 100%, softest lambswool. I’m excited to have added a new range of large wraps to my knitwear collection – available in three gorgeous colourways: Primary, Pastel and Palette. These are perfect for keeping warm on frosty days and chilly evenings, and can be worn either as a scarf or a wrap. If you’d like to purchase an item as a gift and need some advice, please do get in touch – I would be very happy to help. I also have gift vouchers available. Keep up with my latest news throughout the season on Instagram/Facebook…there may alsobe a competition or two, so do keep your eyes peeled! Knitwear can last a long time if it’s cared for properly. 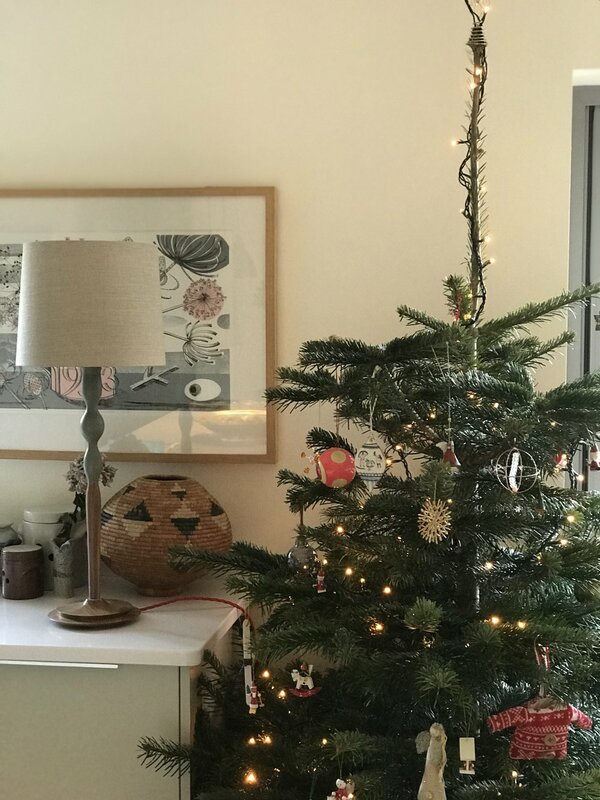 With the advent of a new year and people making pledges to buy less and live more sustainably by looking after what they have, I thought a blog post on how to look after your knitwear might be welcome. Some of you may have been given a neck or wristwarmers for Christmas so I’m targeting this post on wristwarmers but most of these points will be applicable to any sort of knitwear. Wristwarmers in particular get a lot of hard wear, they stretch as your hands move and become dirty from picking up things and generally being worn! One of the ways in which you can bring them back to tip top condition is to give them a wash.
Soak the wristwarmers in lukewarm and mild soap - I use Ecover Delicate but I’m sure there are other detergents which would be just as good. Squeeze the soapy bubbles through the gloves but be careful not to agitate or rub too much as it will result in felting the wrist warmers further. Do not stretch or wring! Rinse in clean water until you cannot see anymore suds coming from the gloves. I lie the wristwarmers out on a clean tea towel and gently use the towel to absorb any excess water and shorten the time it will take them to dry. Again, it’s very important that you don’t wring them out as that will result in stretching and misshaping the gloves. Once all the excess water has been removed, reshape the gloves and pop them somewhere warm to dry flat. I pop all of mine in the airing cupboard on top of a pile of towels. Do not tumble dry! Pressing can be done lightly with the iron set to a wool setting. You can carefully use a bit of steam to help with this process. As the weather gets warmer and you no longer need to be wearing your knitwear, it’s advisable to give it one last wash and then store it away carefully. If anyone else has any tips on how to look after their knitwear I’d love to hear them?! With Christmas just around the corner, it’ll soon be time to wrap up your Christmas shopping! Have you got a tricky friend or relative to buy for? Perhaps you’ve left your shopping too late? (Shhhh….!) Why not treat your loved one to a Kate Box Knitwear gift voucher and keep them warm this winter? Working from my home-studio, I hand-make each garment on my Brother domestic knitting machine. Soft lambswool and colourful stripes create the range which can be seen here! Available in any denomination, a Kate Box Knitwear gift voucher is the perfect way for your recipient to choose their favourite item and colourway. 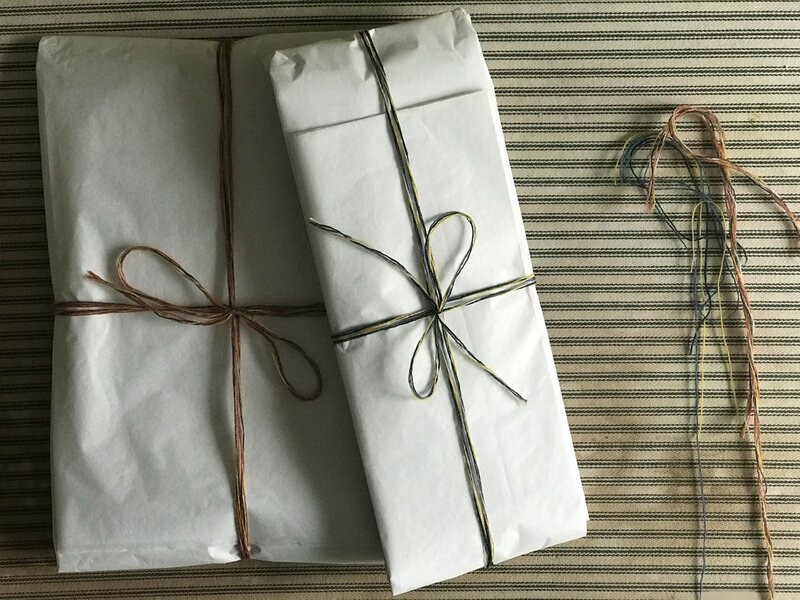 A unique and thoughtful gift idea for Christmas or a winter birthday. Please do get in touch via my contact page here or by email: kate@kate-box.co.uk if you need help selecting a Christmas gift. I am always very happy to answer any questions that you may have or provide guidance on popular products or colourways. Royal Mail final posting dates. 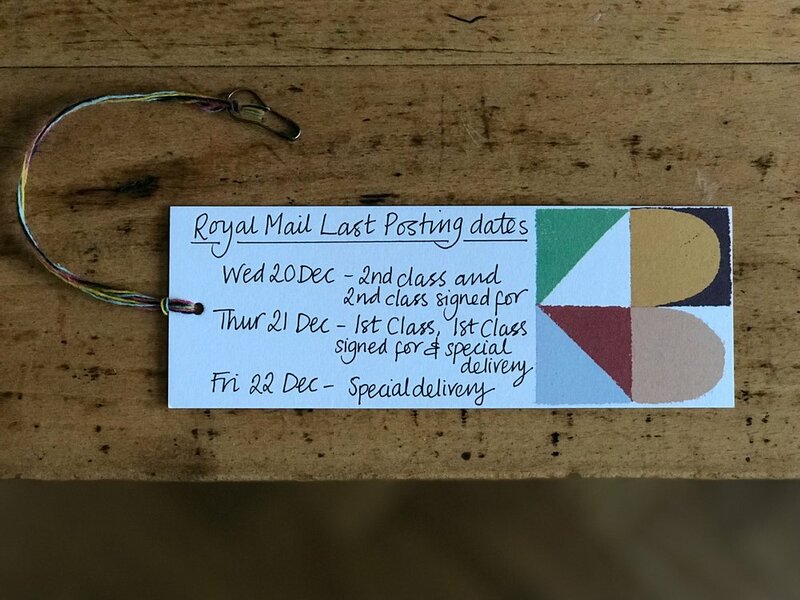 Incase you are sending your knitted gifts on further afield - please see below Royal Mail’s last U.K. posting dates. Please note my final date for guaranteeing delivery before Christmas is Monday 18th December. When you hand-craft something with love, there is simply nothing better than receiving positive feedback from happy customers. We originally met via Instagram, then Cris came to find me at the recent Watoto Fair. Cris is a print and digital media designer who works with businesses to help them communicate with their customers in a persuasive style. You can see more of her work here: www.leapingcow.com I absolutely love Cris’s video – she models my wrist warmers in action so beautifully. Thank you Cris! I would be so thrilled to see more happy customers wearing Kate Box Knitwear this winter. Keeping cosy in style as the weather turns colder. I’d love to create a montage of your images in a December blog post and share via our social media platforms in the coming weeks. If you’d like to share a picture or short video, please do get in touch at kate@kate-box.co.uk . It would be such a fabulous way to capture our Autumn/Winter season!